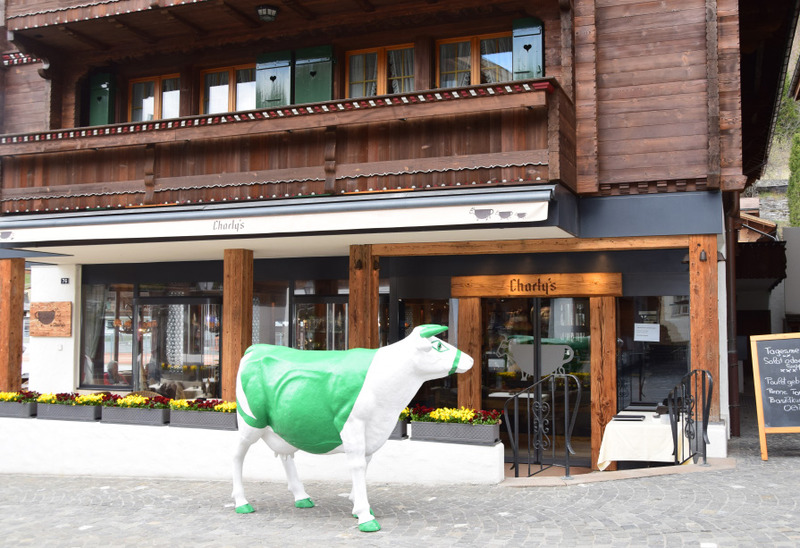 Christa Hauswirth, managing director of Charly's Tea Room in Gstaad has announced that there will be staff changes. Three members of the management team will leave the business at the end of April. "This includes our chef, Nicolas Monfaucon, the production manager and co-managing director, Lucille Bratschi and our service manager, Angela Grieb." They’ve been working for the business since it reopened almost three years ago. All three have chosen to move on for professional or personal reasons. “Nicolas Monfaucon and Lucille Bratschi are moving to the lowlands with their families and Angela Grieb wants a career change,” says Hauswirth calmly, suggesting that a succession plan is already underway. A lot has happened in the last three years and we often didn't know what to do for the best, says Christa Hauswirth. "One thing I've learned over the last three years is that there's always a solution." The couple Fleur Kessels Oberson and Christian Oberson are "the ideal recipe". For many years, the two were in charge at the Eggli, Christian as head chef and Fleur in charge of guest services. More recently, she’s been in charge of all the restaurants belonging to Bergbahnen Destination Gstaad AG. At Charly's, from the summer of 2019, Christian Oberson will be in charge of the kitchens and production areas and Fleur Kessels Oberson will manage the guest area and services. "This is a relief for me as I’ll be able to spend more time working on the business administration, my main area of responsibility," says a happy Christa Hauswirth. It remains to be seen whether the change in management will affect the business offerings or the opening times and, if so, what changes might take place. "We’ll use the mid-season to work together to develop or modify the business concept," emphasises the managing director. The end of April is the end of the season until we reopen on 13 June. In the meantime, the tea room will be closed. Explaining the new challenge, Fleur Kessels Oberson said that after so many years on the Eggli, it was time for a change. "It wasn’t easy making the decision. We’ve had a great time and the Eggli has been our second home for many years. However, we’re now looking forward to Charly's.” After so many years in the mountains, they’re happy to be returning to the small town. The customers will be just the same as on the mountain. "We like the mix of locals and visitors," says Fleur Kessels Oberson. "This is what gives Gstaad its charm."